Call came in as - Multiple cars on fire. Police arrived and reported good fire. 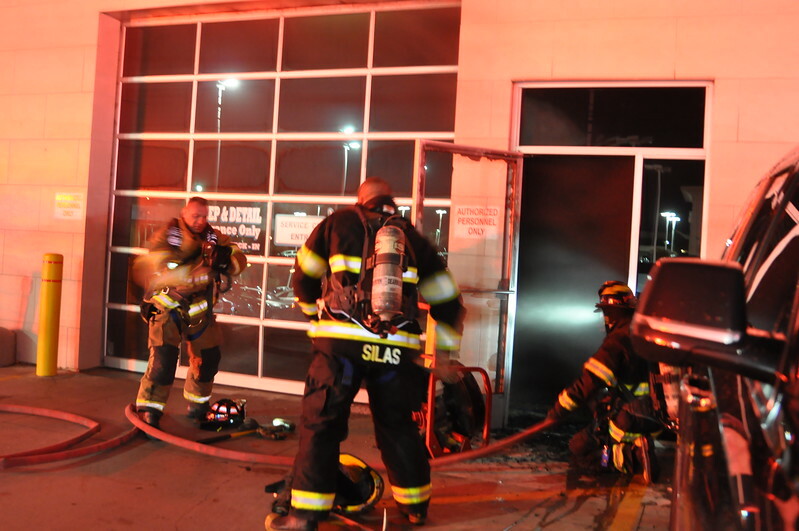 Fire crews arrived and with smoke inside the building, Crews made entry and found a vehicle on fire inside. Building was ventilated and checked for extension. No Injuries. Engines 1,4,12. Rescue 1,2 Ladder 2, F2.